Where are all of my McDonald’s fans? 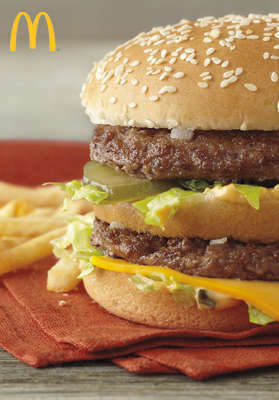 Today you can get one booklet with five individual Big Mac vouchers and five vouchers for large fries for just $13. YUM! These would make nice stocking stuffers, teachers gifts, gift for the bus driver or a nice lunch/dinner deal for your family. The vouchers never expire so you won’t have to worry about using them quickly! And they are valid at all particiapting US Locations. Voucher booklet will be sent via first-class mail and should be expected to arrive within two weeks after purchase. See site for full details.